Other photos: Photo 1, Photo 2, Photo 3, Photo 4, Photo 5, Photo 6, Photo 7, Photo 8, Photo 9, Photo 10, Photo 11, Photo 12, Manufacturer Provided Image. 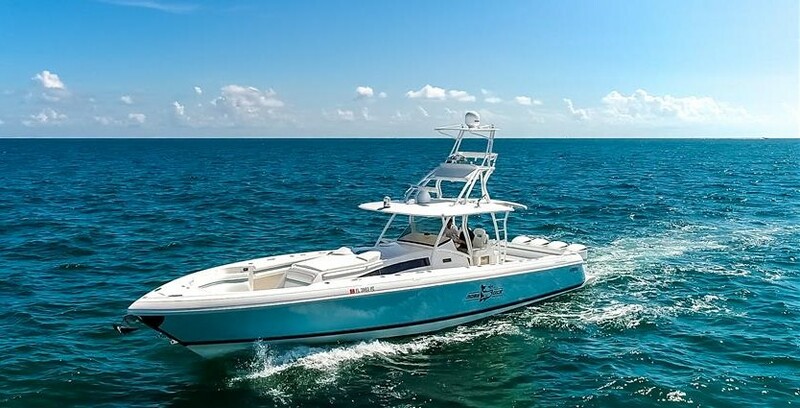 With a combination of performance, comfort and versatility only found on an Intrepid, the 327 Center Console is the premier offshore platform for moments with family and friends not soon forgotten. Fuel efficiency is off the charts and our revolutionary stepped hull design delivers superior safety, stability and handling, no matter what the speed. Whether it be fishing, diving, cruising or entertaining, the spaciously appointed cockpit and luxurious forward deck are ideal for whichever one you choose. It’s also equipped with incredible storage capacity including extra large rod lockers, fish boxes, baitwells, cooler and dive gear. A spacious head and changing room are neatly hidden in the console while plush wraparound forward seating with electric backrests and integrated or removable rear bench seating are waiting to comfort you. SYS Yacht Sales is pleased to assist you in the purchase of this vessel. This boat is centrally listed by RNC Yacht Group.